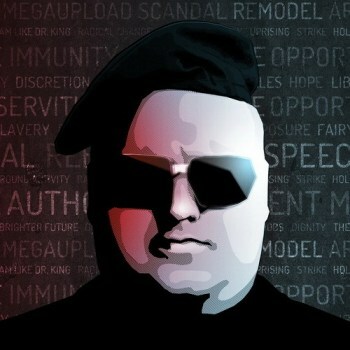 Kim Dotcom won't face possible extradition to the U.S. until March 2013 at the earliest. I'm not a lawyer, but given the way defense attorneys always look disappointed when their request for a continuance is denied on Law and Order, I think the decision to postpone Kim Dotcom's extradition hearing until early 2013 counts as a win for his legal team. The hearing was originally slated for August 6 of this year, but the waters have been muddied by a series of legal setbacks in the U.S. government's case. In May, a New Zealand court ruled that the U.S. authorities must turn over evidence to Dotcom's lawyers so he could properly defend himself against the extradition request, something the U.S. had previously refused to do. A month later, another judge ruled that the raid on Dotcom's mansion and subsequent seizure of Megaupload hard drives was illegal. Jurisdictional questions also loom, as Megaupload was based in Hong Kong and Dotcom is a permanent resident of New Zealand. Despite the extra time the delay will give his legal team to absorb the U.S. government's evidence and prepare a defense, Dotcom sounded less than pleased with the delay. "Extradition hearing delayed til March. Dirty delay tactics by the US. They destroyed my business. Took all my assets. Time does the rest," he wrote on Twitter. He also took the New Zealand government to task, adding, "The NZ government is refusing an NZ resident due process and a fair defense. Shame on you [Prime Minister] John Key for allowing this to happen. Shame on you." Dotcom and other former Megaupload executives are facing charges of copyright infringement valued at $500 million. If extradited and convicted, he faces up to 20 years in prison and millions in fines.